What is compost? Well, it is basically decayed organic matter. Composting continually occurs in nature, as materials such as fallen leaves and dead plants are transformed, with the help of earthworms, microorganisms, and beneficial fungi into a soil-like material. What Is Compost Used for in the Garden? Dark, earthy, and rich in nutrients, compost makes a great soil amendment or mulch for your garden. It improves soil structure, loosening clay soils and helping sandy soils retain water. Compost increases soil fertility and feeds the microorganisms that are necessary for a healthy soil. Because compost is so great for your plants, it can be used instead of synthetic fertilizers. It has been an essential part of gardening for centuries, and in many ways it is healthier for garden soil than synthetic fertilizers. And best of all, compost is cheap! You can make your own compost as part of your gardening routine. Adding large amounts of compost is one of the best ways to improve your soil when starting a new garden. Dig in large amounts of compost when you create the bed, or add a thick layer of compost to the surface and till it under. Add compost every year to give your plants a boost. An easy way to do this is to lightly work compost into the soil surface around your plants. The nutrients will make their way down into the soil. When you plant new perennials or divide old ones, take the opportunity to add compost to the planting hole. You can use compost to feed your lawn, too. Once or twice a year, spread an inch of compost over your lawn and gently rake it in. What Is Compost Made From? Making compost from your garden and household waste is easy and rewarding. You can turn organic materials that otherwise would end up in the landfill into food your plants will love. For help getting started, see How to Make Compost. If you don't want to make your own compost, many cities or counties have community compost piles, where residents can drop off yard waste and pick up finished compost for free. What a great use for the leaves you rake up each fall! Compost can also be purchased in bulk or bags at garden centers. Because it comes from a variety of sources, compost may be called many things. Composted manure is manure that has been aged to a crumbly material resembling topsoil. 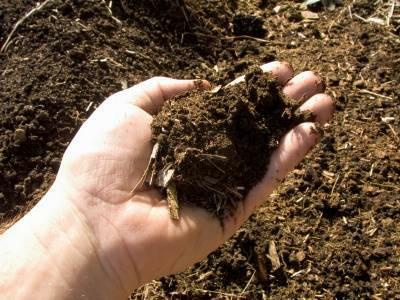 Fully composted manure has no smell and is a terrific food for your plants. Mushroom compost, another popular soil amendment, is a by-product of mushroom farming and contains composted, sterilized manure. No matter what is compost created from, it is a great way to enrich your soil and feed your plants naturally.